They’re not real, but they’re spectacular! Currently I’m in this phase of wanting to bring my entire beauty routine in-house. Not only does doing my own nails and hair color save me a ton of money, but I like being able to do things on my own schedule and whenever I get the whim to change up my look (which is quite often). After years of getting expensive lash extensions done every two weeks in Manhattan, I decided to try a DIY version instead. 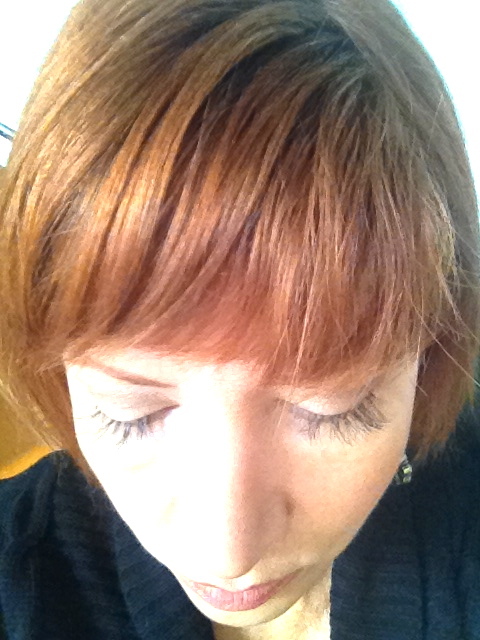 I selected Revlon’s Beyond Natural individual lash extensions in black. They come in a pack of 70 with three different lengths: short, medium and long. The key to applying these lashes is using just a tiny drop of lash adhesive and holding the lash on top of your natural lashes for a few seconds to let it dry. Make sure you don’t apply the lashes to your actual skin . . .that can get painful. So if you’ve been thinking about trying lash extensions, pick up a set of Revlon’s Beyond Natural Eyelashes the next time you’re in the drug store. It’s a fun, inexpensive, short-term commitment way to give yourself a mini-makeover.